Last weekend was an opportunity to see some buildings not normally open to the public courtesy of Ayrshire Doors Open Day. 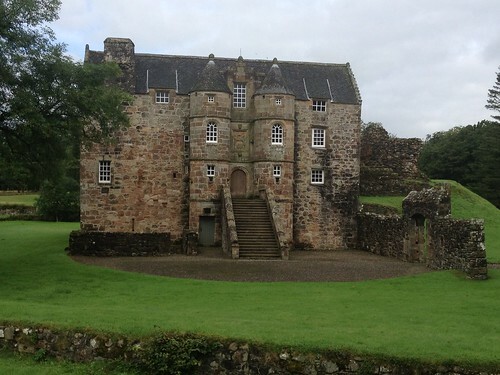 Saturday was Rowallan Old Castle which is curated by Scottish Heritage. We got an hour and a half of guided tour and learned fascinating facts about the castle and its previous inhabitants. 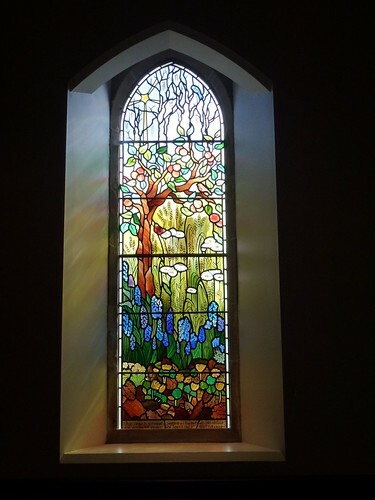 Next up Alloway Parish Church, not for the building but for its stained glass windows. 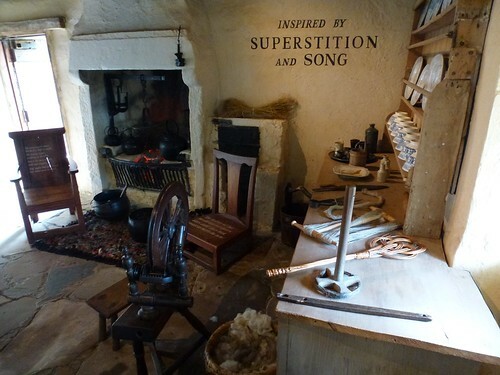 This was followed by a couple of sites associated with Burn's poem Tam o' Shanter. 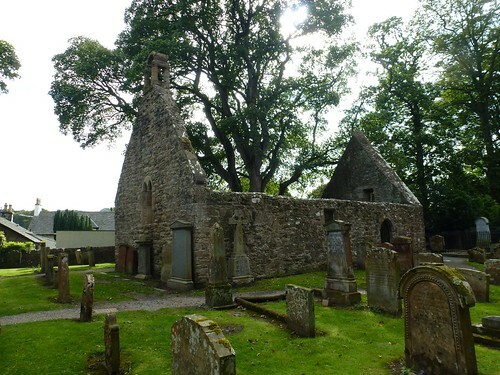 The ruined Alloway Kirk, site of the witches coven, and the Brig o' Doon over which the witches could not cross. Then a quick circuit of Burn's birth place. 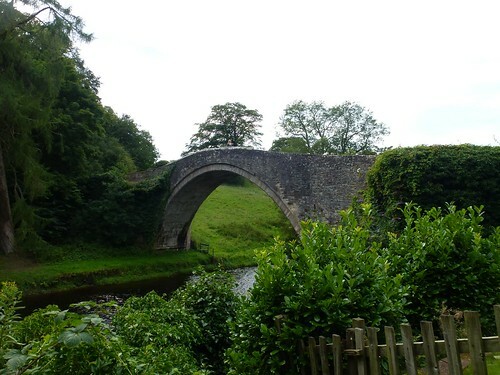 Sunday it was over to Tarbolton for the Batchelors' Club and Tarbolton Masonic Lodge after which it was over to Symington for a pub lub and the beautiful Norman church. Next we went home to collect May and took her over to to see Kilwinning Mother Lodge Number 0. 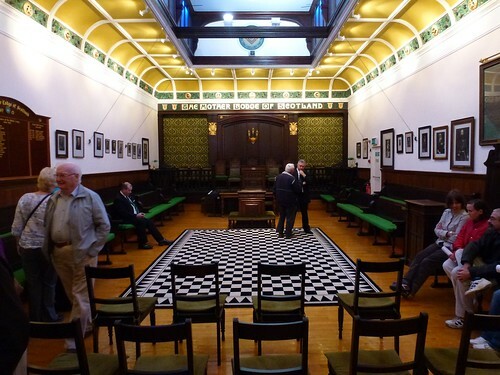 It is the oldest lodge in Scotland and is actually "Number Nothing" meaning un-numbered, but in custom and practice is referred to as Number 0. There we bumped into cyber friends Lynette and Tommy Lusk. 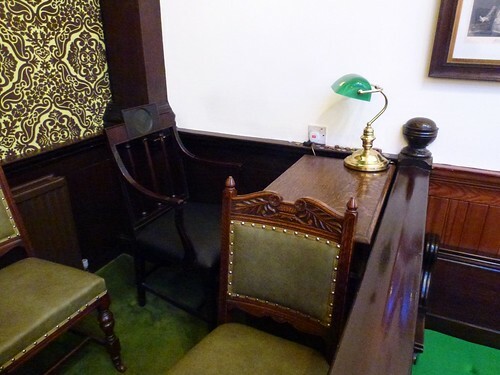 Mary's father was treasurer of the lodge for 25 years; we met a number of his old friends and had pointed out the treasurer's chair where he used to sit. Then it was time to return May home and head off to the airport, via Mary's sister for a cup of tea, and the flight home. 20120901-ayr-doors-open, a set on Flickr.